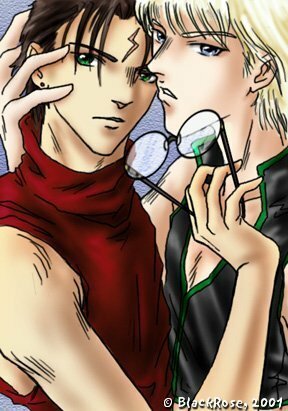 art by BlackRose When I first started reading the Harry Potter books, it never even occured to me that Harry and Draco might make an interesting couple. Then I started to read the Harry Potter related fanfictions and I found Harry/Draco slash, and the rest, as they say, is history. Now I can't even think of anyone else who would be a better match for Harry and vice versa for Draco. 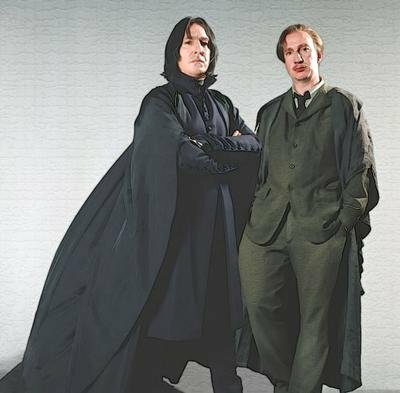 Severus Snape and Remus Lupin are such opposites that I couldn't help but fall in love with the idea of the two of them together. They share a history of darkness and pain.